RMT protest in support of guards at Liverpool Lime Street Station this morning is joined by Chicken Man as Grayling refuses to meet union. AN RMT demonstration in support of guards and station staff at Liverpool Lime Street Station this morning, to coincide with ministers and rail bosses turning up at for what they are calling “Better Stations Day” and the final completion of the Liverpool Lime Street refurbishment, has been joined by Chicken Man as Chris Grayling continues to refuse to meet to discuss the on-going guards’ disputes. RMT is highlighting the fact that far from better stations, the rail bosses – at the behest of the government – are seeking to de-staff trains and stations. The union is also objecting to the way that refurbishments such as Liverpool Lime Street and related works are often carried out by casual, out sourced labour, often operating under bogus self-employment. The union says that it is scandalous that multi-million pound tax payer funded projects are developed this way. All such work should be in-house and under public ownership and as a starting point linked to decent employment conditions. 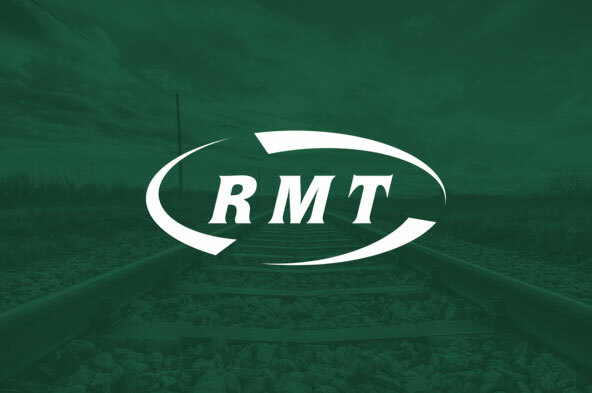 “RMT has made it crystal clear to Chris Grayling, his ministers and officials that when it comes to presiding over the destruction of the safety culture on Britain's privatised railways he can run but he cannot hide. If he won't meet with us then we will continue to take the union's case for a guard on our trains and safely staffed stations directly to him and his cheerleaders. “This morning Chris Grayling and his team have had the opportunity to hear direct from rail workers engaged in the fight for safety, security and access on our trains. It’s scandalous that he continues to chicken out of a direct meeting with the union where we can set out the facts."